This week-end, I have been to France and I took the opportunity to bring back two huge soles. 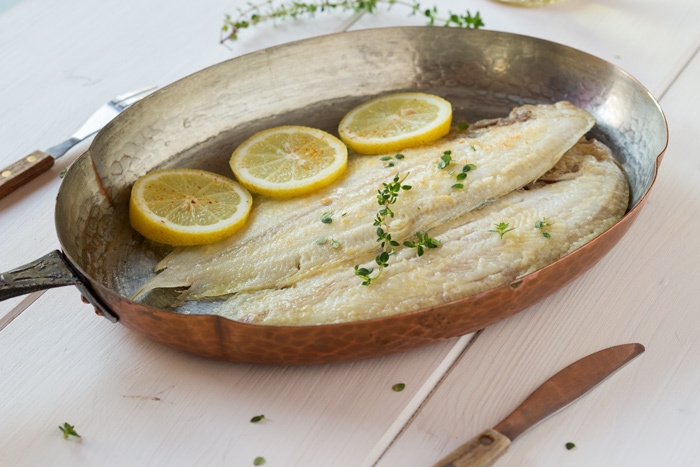 The fishmonger prepare me these sole in meuniere, which means that he removed the skin from both side of each fish. That’s was incredible ! Just wonderful. I could have eaten both of them alone. Unfortunately I had to share. Adrien found it wonderful as well. I love that Adrien like fish. Not everyone is a big fan of fishes overthere. Even my cat could taste it. But of course just a little bit, only the size of my little finger nail. That’s too delicious for a cat! But it enjoyed it a lot, I could tell. 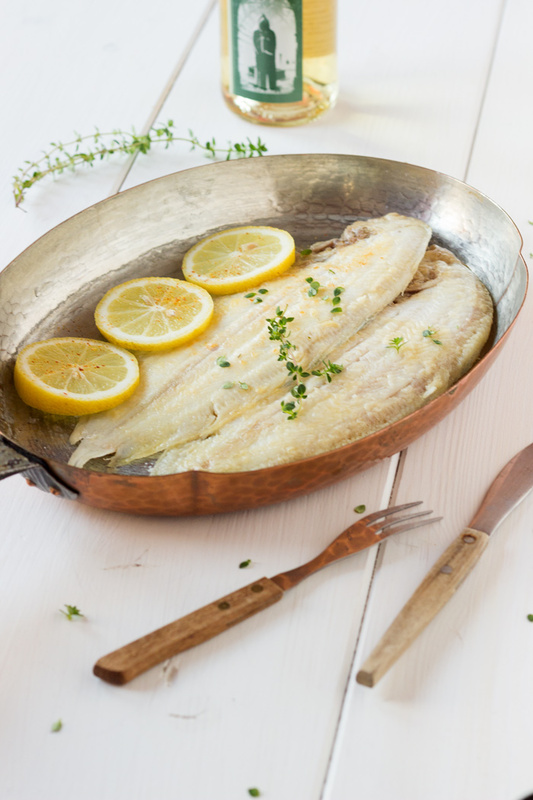 Hope you enjoy this recipe and that you love sole meuniere as much as I do ! Fry 3 minutes on each side. 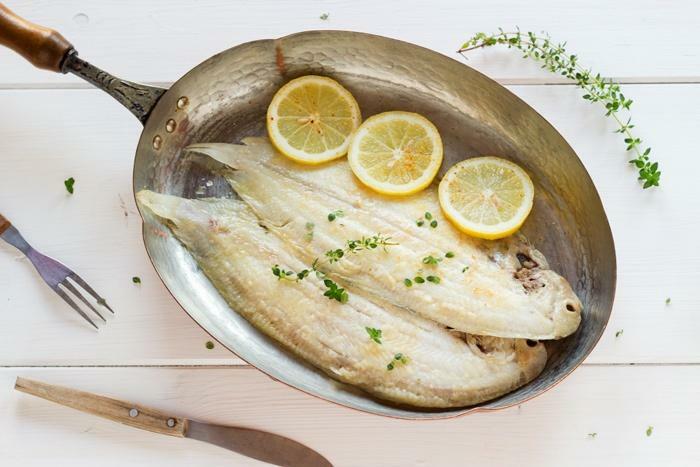 Pour 1 tablespoon of lemon juice on top of each sole, the rest of melted butter and sprinckle with lemon thyme. Thank you very much for reading. Register to the newsletter or follow me on social media to receive the latest recipes ! I love sole meuniere and it’s been so long since I’ve had it. I think the last time was in Senegal.